You may or may not have already read my piece on the unarmed EF-111 Raven that scored a kill on an Iraqi Mirage during the opening hours of the aerial campaign of the Persian Gulf War. As improbable as an maneuver kill may sound, recently, I’ve lately come to the realization (after a good deal of research and reading) that there are even zanier stories of air-to-air combat throughout history, waiting for us to happen upon them and share them around. One that particularly comes to mind, more so than others, is the incredible story of how Owen J Baggett, a U.S. Army Air Forces bomber pilot, took out a Mitsubishi Zero. At a first glance, that doesn’t seem too out of the ordinary, right? I mean there were plenty of bombers that shot down attacking enemy fighters, using the machine guns in turrets placed all over the body of the bombers. Factor in that Baggett was solely credited with the kill, not a gunner or the entire crew. That’s when the real story starts to unravel. Owen Baggett was a graduate of Hardin-Simmons University, later going on to work in the financial world. With the onset of the United States’ involvement in the Second World War after Pearl Harbor, he made his way over to a recruiting station and signed himself up for the Army Air Forces, choosing to be a pilot. After completing flight training in 1942, he was immediately assigned to the 10th Air Force, based out of India. His airframe was the Consolidated B-24 Liberator, a heavy-bomber known for its flight control issues and inability to take significant damage, like its USAAF counterpart, the B-17, could. Baggett’s squadron flew out of Pandaveswar (near Calcutta) on lengthy missions over Burma (now Myanmar), attempting to hit Japanese airfields and forward bases in the region. On the 31st of March, 1943, his squadron was sent to the skies with a similar mission; this time to destroy a railroad bridge between Rangoon and Mandalay that functioned as a supply line and ground transportation link between Japanese bases. However, before the attacking formation of B-24s was able to reach their target and release their bombs, they encountered air-defense Japanese A6M Zeroes, launched from nearby airbases to repel the inevitable onslaught. The flight leader of the strike force, as well as Baggett’s Liberators both came under a withering barrage of fire, emanating from from the 7.7mm MGs and 20mm cannons of the Zeros. Staying true to its reputation, Baggett’s B-24, under the command of 1st Lt. Lloyd Jensen, started to smoke, then spew flames. The conflagration was quickly worsened by punctured oxygen bottles throughout the cabin of the stricken aircraft. One of the turret gunners lunged for adjacent fire extinguisher canisters and moved towards the rear of the Liberator, spraying out as much of the flames as possible, and at one point, walking precariously over the bomb bay which was jammed open. Baggett left his seat and moved from the cockpit to the recently vacated turret, pulled back the charging handles on the machine gun and started engaging any enemy fighters he saw coming his way till Jensen ordered the bailout; the gunner with the fire extinguishers had bravely managed to buy the rest of the crew a little more time to prep the jump by lowering the intensity of most of the fires around the interior of the fuselage. Baggett jumped and remembered seeing four more open chutes before the Liberator finally exploded. Before we carry on, you should know that, as horrific and dishonorable as this may sound, members of the Japanese military were trained to fight viciously. Their soldiers were trained to shoot medics first (an action the rest of the Axis powers were extremely critical of, as medics were generally lightly armed and completely focused on saving lives, not taking them). Their pilots weren’t about to be content with just the downing the plane. They’d fly in and strafe any pilots or crew helplessly hooked to their parachutes as they floated down to earth too (if they had the chance to bail out). So with that in mind, you can imagine what the Zero flight did next. A number of the crew were hit, some fatally. Baggett himself was grazed by a round. He hung in his chute limply, feigning death as he slowly and deliberately drew his standard-issue M1911 from its holster, keeping it by his side. Unsure of what he’d do next, he just dangled from the nylon straps of the standard-issue bailout chute. His opportunity presented itself in the form of a sadistic Zero pilot who nudged his aircraft closer to the floating bodies underneath the parachute canopies, so that he could get a confirmation on his kills. Settling back the throttle, the pilot popped open his canopy for a better look. Baggett came to life and brought his .45 to bear, sending four quick shots at the peering figure, leaning towards the outside of the cockpit. Within seconds, the Zero banked away and entered a stall. It hit the jungle floor hard, splintering a multitude of parts and pieces. Baggett and two other airmen (Jensen and Sgt. Crostic, the turret gunner who attempted to calm the flames on the mortally wounded B-24) finally landed on terra firma, but were still taking fire from remaining Zeros who were now attempting strafing runs at the group. All were taken into captivity by Imperial Japanese Army troops, and were sent to a prisoner of war camp near Singapore. Baggett, during his internment, didn’t believe for a minute that he shot down the Zero with his M1911 but in time, evidence strongly favored the notion that he actually achieved what was probably one of the most unusual kills of all time. 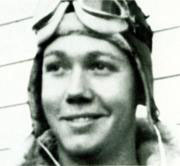 Sadly, Jensen was summarily executed, but Baggett lived on, eventually meeting a Colonel Harry Melton of the 311th Fighter Group, who notified Baggett that he had heard from a Japanese colonel that the pilot Baggett supposedly downed was thrown clear from his crashed aircraft and was found with a single bullet hole through his head. Also supporting Baggett’s kill was the fact that there weren’t any friendly fighters present in the area that day that might have instead hit the Zero. Keep in mind that this all took place between 4000 and 5000 ft, altitudes at which the Zero pilot would’ve still been able to recover from that stall he banked into. Owen Baggett, now with one of the most incredible aerial victories to his name, was liberated from his POW camp later on in the war. Though evidence surrounding the kill remains circumstantial to this day, with a number of detractors claiming the story fabricated or simply overwhelmingly untrue, independent researchers such as Robert Campbell (author of Gun Digest’s Guide to the 1911), and John Frisbee (author of the Valor series published in the Air Force Magazine) lend their support to the event and Baggett’s distinction. However, with Baggett remaining largely silent on the whole affair after the war, it seems as though we will never find out the real details of what happened that fateful day over Burma. Colonel Melton was listed as missing/presumed deceased when a POW transport ship he was on sank in the Pacific during the war. Baggett chose to remain in the military, transferring over to the newly-formed United States Air Force and eventually rose to the rank of full-bird Colonel before retiring. He passed away in 2006, leaving a legacy behind of being a tireless, hardworking commanding officer, and a quiet and friendly retiree, among other things. But most of all, we’ll probably never forget the fact that he managed to shoot down an enemy fighter with a handgun while dangling from a chute thousands of feet above the ground. The impression given by this account is that the B-24 was not a very good airplane. Yet the Liberator/ Privateer was built in more numbers that any other US military aircraft (Wagner lists 18,482 including foreign sales and C-87 variant, built by 4 companies in 5 factories).and one must assume that so many would not have been procured if they were that bad. My friend Col. Red Parker, USAA F/USAF told me it was a great airplane when he first flew it but then they loaded it down with extra gun turrets and electronics and armament and- Much easier to handle than the B-47 which he later flew in which every landing was a controlled crash because of slow response of J-47 engines. Red, from Muleshoe TX, started out in Army in 1939 in cavalry, didn’t care for shoveling, transferred to AAC. India flew the maritime reconnaissance version until 1966. It was also used for transport as the C-87, flew FDR to Casablanca. Compared to B-17 B-24 could carry twice as many bombs, had longer range and was faster. Was main bomberon Ploesti raid. The book – https://books.google.com/books?id=TQSPIYfPArYC&pg=PA44&lpg=PA44&dq=march+31+1943++in+burma+oscar&source=bl&ots=oduL_ut9Kt&sig=wi6Q_s6mWJYrGvMnyxXQiCTsoBI&hl=en&sa=X&ved=0ahUKEwjs5b_w97jLAhVH62MKHc9NAN0Q6AEIHDAA#v=onepage&q=march%2031%201943%20%20in%20burma%20oscar&f=false – confirms the fight on March 31, 1943. On page 57 it discusses the US unit which matches this story and Lt. Jensen by name. 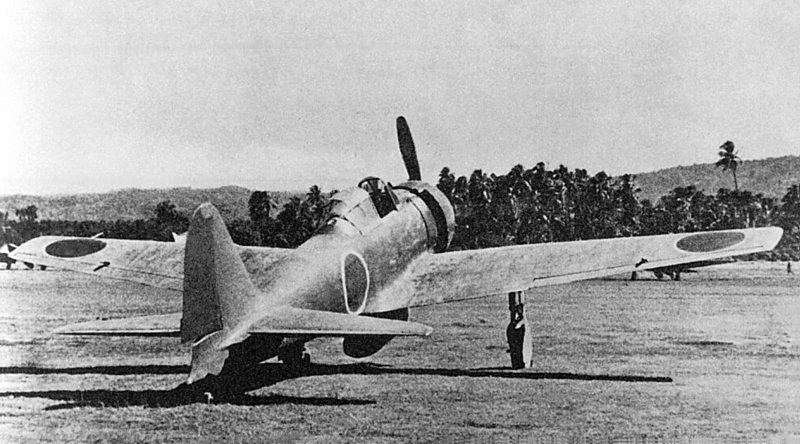 The Japanese 64 Sentai flying Ki-43 Oscars were the opposition. They did not suffer any pilot loses. So nice story Owen. Wow… lots of misinformation & incorrect facts in this story! For example, Lt. Lloyd Jensen was not summarily executed.